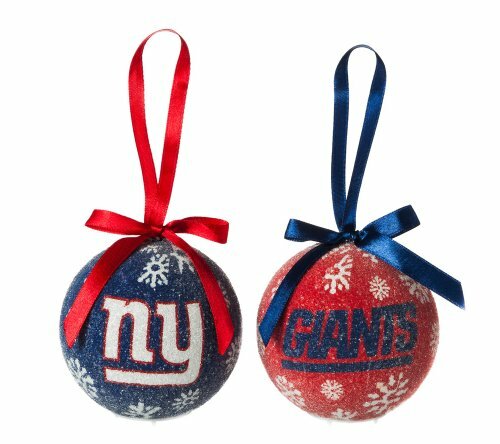 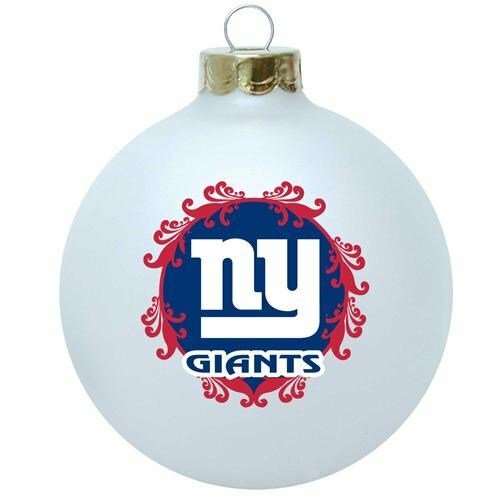 These are great looking New York Giants Christmas Tree Ornaments and they’ll be fun to decorate with! 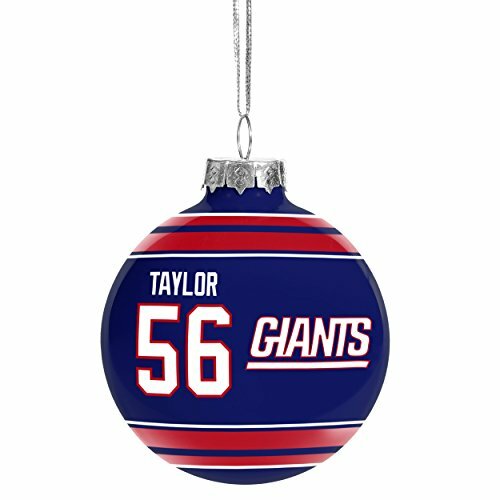 The red and blue colors look nice and will go well with other red and white ornaments and trims. 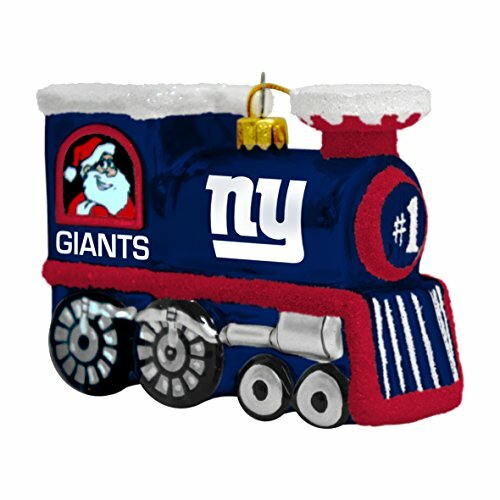 The train ornament is popular this year and the other novelty ornaments here are going to look excellent on the tree. 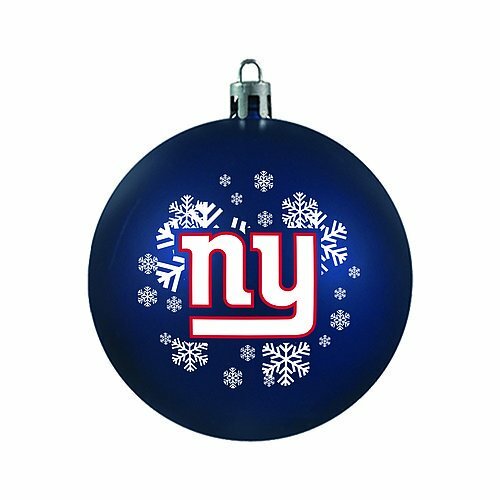 Here are traditional ball ornaments done in dark blue and accented with red ribbon, red stripes, red marabou, and a snowflake. 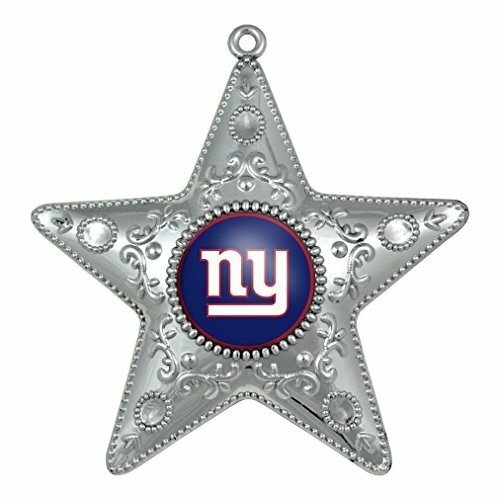 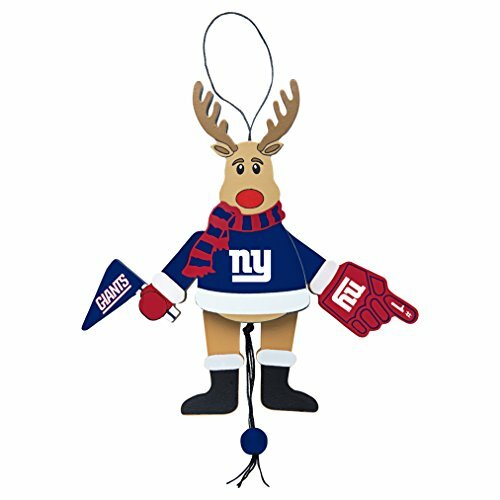 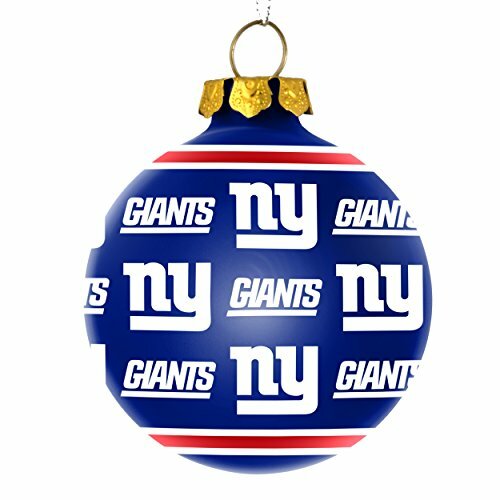 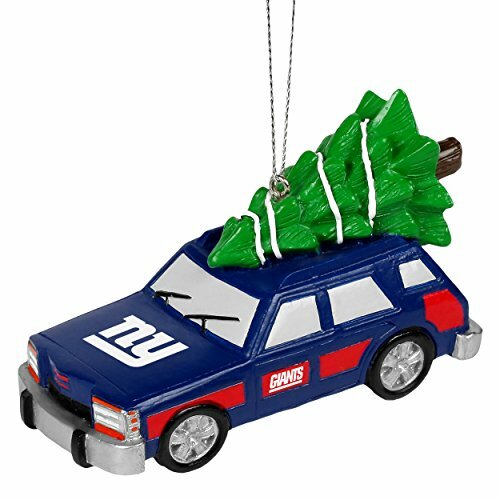 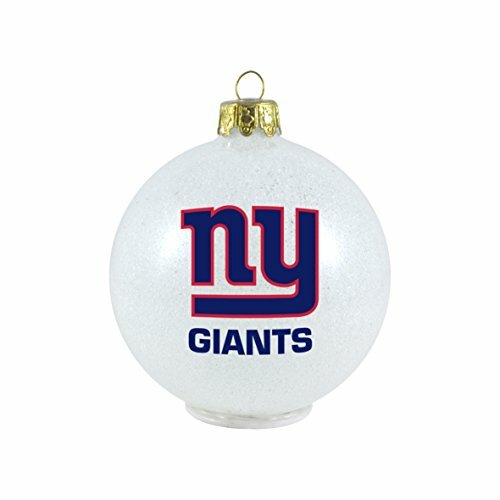 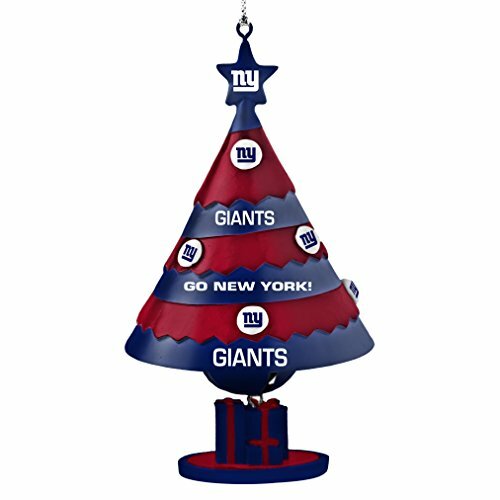 Celebrate the New York Giants with some of these super ornaments. 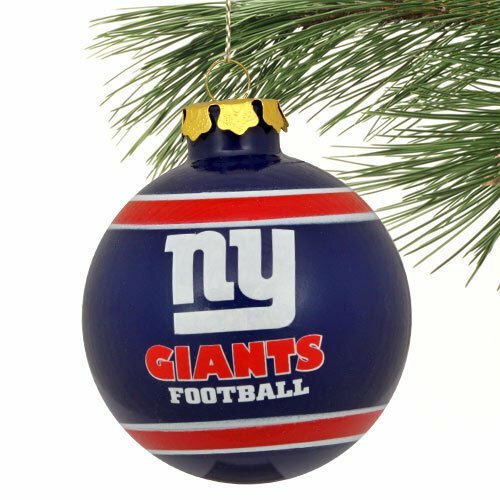 The tinsel ball is another popular one. 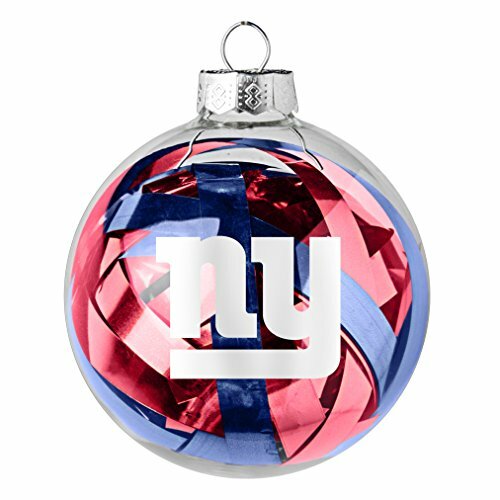 It’s a glass ball filled with red and blue mylar ribbons and has the New York Giants logo printed on the front. 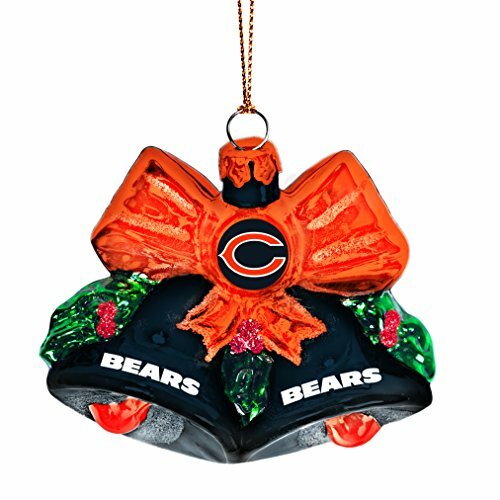 There’s also an LED ornament. 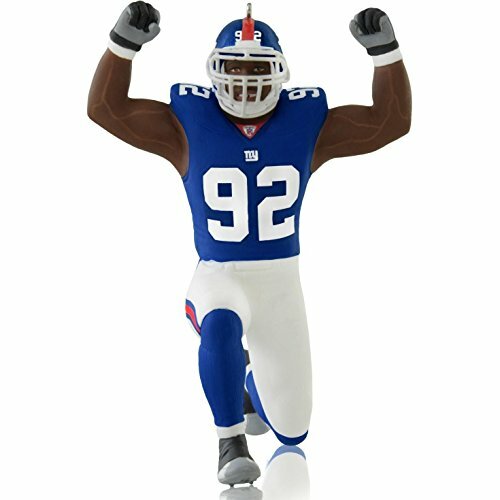 The Giants joined the NFL in 1925 which gives them more than 80 years of history. 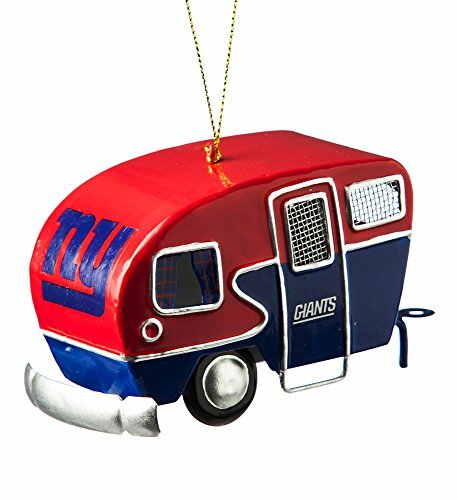 They have several nicknames including Big Blue, the G-Men, the Jints, and Big Blue Wrecking Crew. 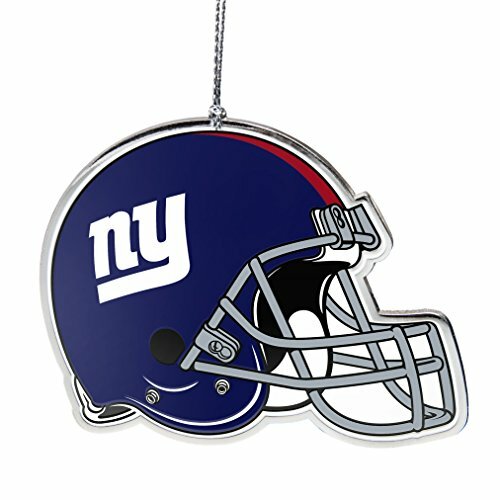 The team is the fourth most valuable in the NFL.